Our very first Holiday item is a generic one, and it’s no surprise this is one of our most popular items for kids. This long, heavy-weave robe, featuring an attached hood, is a great item to let your child become any of the famous Jedi characters from Star Wars, their own original characters, or any outfit that requires a long, comfortable brown robe! What child wouldn’t want to look just like the main hero of the Star Wars prequel movies? This fun outfit is the perfect thing for a young force-user that’s ready to fight against droids and Sith. From the overwhelming excitement of the movies to the fun and adventure of the Clone Wars television series, this costume is the perfect fit! The greatest villain to ever grace the silver stage can be here for Christmas with this fine costume! The Dark Lord of the Sith and right-hand man to the Emperor, Darth Vader is perhaps the most memorable movie character to ever make a pop-culture splash. Make her a bastion of girl-power this year with a costume based on the amazing first appearance of this legendary character! The Deluxe Princess Leia Girls Costume is a classic long white dress that will make your girl look like the pinnacle of space royalty! 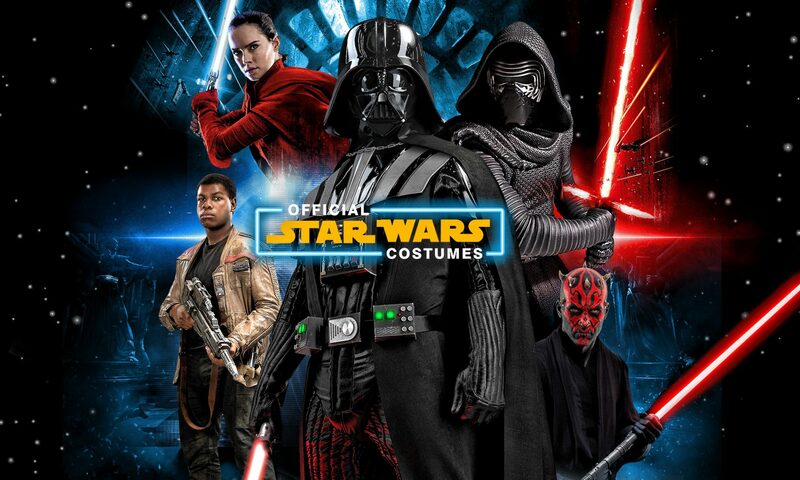 It’s simple to get a costume of the most famous hero in the entire galaxy! From his low standing as a poor Tatooine moisture farmer to the most powerful Jedi that has ever lived, Luke Skywalker is the classic hero tale, and the most popular Star Wars kids costume for this Holiday season! Now you know the most popular items; don’t miss out on getting a last-minute stocking stuffer or present!